August 6, 2018 By Editor & filed under GHUTV LIVE. Thanks for tuning in to the July GHUTV LIVE Q&A session with Chris Freytag and Leah Zahner. Chris and Leah answered viewers health and fitness questions live on air! Stay tuned for next month’s session. See you then! November 13, 2017 By Editor & filed under GHUTV LIVE. 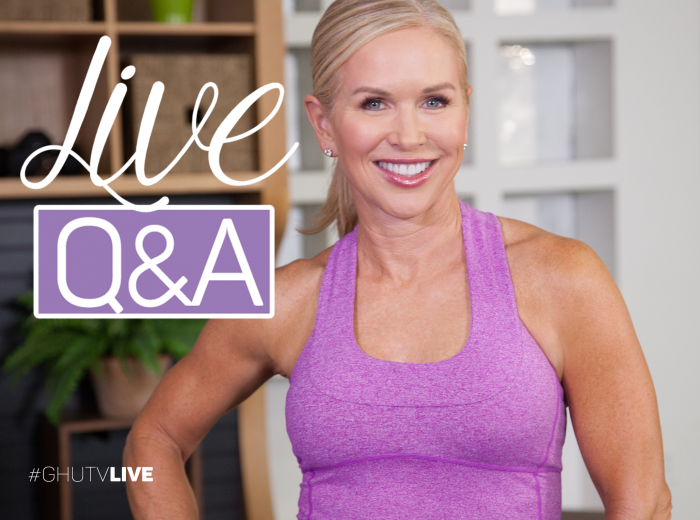 Thanks for tuning in to the October GHUTV LIVE Q&A with Chris Freytag and Jodi Sussner, where they answered viewers’ health and fitness questions live on air! Keep an eye out for the next GHUTV LIVE event! August 28, 2017 By Editor & filed under GHUTV LIVE. Thanks for tuning in to the August GHUTV LIVE Q&A session with Chris Freytag. Chris answered viewers health and fitness questions live on air! Stay tuned for next month’s session. See you then! May 23, 2017 By Editor & filed under Blog, GHUTV LIVE. Thanks for tuning in to the May GHUTV LIVE Q&A session with Chris Freytag and Lindsey Bomgren. Chris and Lindsey answered viewers health and fitness questions live on air! Stay tuned for next month’s session! See you then! January 12, 2017 By Editor & filed under Blog, GHUTV LIVE. Thanks for tuning in to the January GHUTV LIVE Q&A session with Chris Freytag. Chris answered viewers health and fitness questions live on air! Stay tuned for next month’s session! See you then! November 28, 2016 By Editor & filed under Blog, GHUTV LIVE. Thanks for tuning in to the December GHUTV LIVE Q&A session with Chris Freytag. Chris answered viewers health and fitness questions live on air! Stay tuned for next month’s session! See you then!